You can copy a CD for a variety of reasons, like to save a scratched disc, to back up music to your computer, to copy music from one CD to another CD, or to rip a software program to a digital file. Many programs perform CD copies, including both commercial software and freeware applications. We'll look at how to use the free ImgBurn program to copy a CD. In most countries, it's illegal to distribute copyrighted material without the copyright holder's permission. You should only copy a CD that you legitimately own for your own personal use. 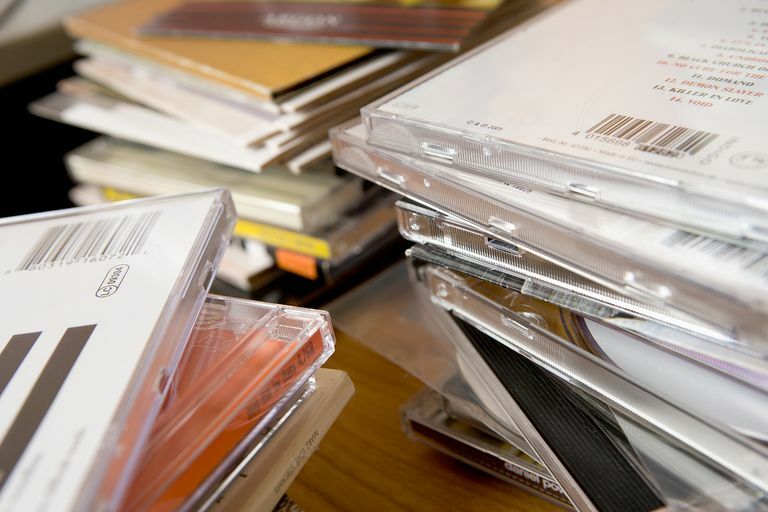 We talk a little more about these rules in our "dos and don'ts" of CD copying/ripping. Download ImgBurn and install it to your computer. Open the program and choose Create image file from disc. This option lets you copy the CD to your computer so that you can either keep the files there or use them to make a new copy on a second CD (or third, fourth, etc.). In the Source area of the screen, make sure the correct CD/DVD drive has been chosen. Most people only have one, so this isn't a concern for most, but if you happen to have multiple drives, double-check that you've chosen the right one. In the Destination section, click or tap the small folder and choose a file name and where to save the CD copy. Pick any name and folder you like, but remember the location you choose because you'll need it again soon. When you confirm the destination and are taken back to ImgBurn, click or tap the big button on the bottom of the window that's a disc with an arrow pointing to a file. This is the "read" button that will copy the CD to your computer. You'll know the CD copy is finished when the completion bar at the bottom of ImgBurn reaches 100 percent and an alert pop-up tells you that the CD has been copied to the folder you specified in Step 4. ​At this point, you can stop these steps if you only wanted to copy the CD to your computer as a file. You can now use the ISO file ImgBurn made to do whatever it is you wanted, like keep it for backup purposes, open it to view the files that were on the CD, or share the CD files with someone else. On the ImgBurn screen, go to the Mode menu at the top and choose Write, or if you're on the main screen again, select Write image file to disc. In the Source area, click or tap the small folder icon to specify the ISO file stored in the folder you picked during Step 4 above. In the Destination area, select the correct CD drive from that list. It's normal to only see one there. Click or tap the button at the bottom of ImgBurn that looks like a file pointing an arrow to a disc. Similar to ripping the CD to your computer, burning the ISO file is complete when the progress bar fills and the completion notification appears.